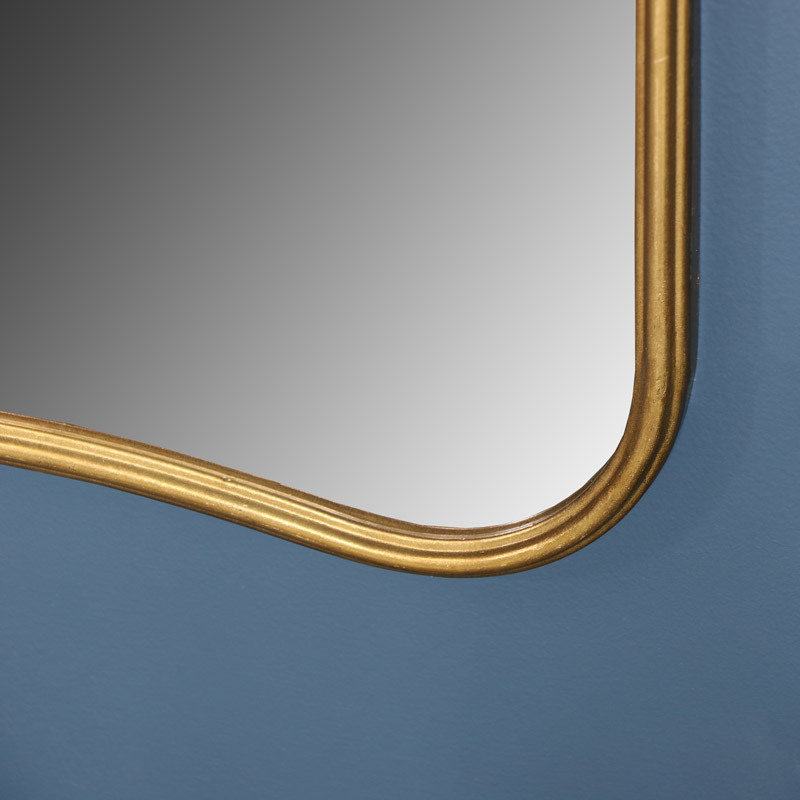 Extra large metal frame wall, floor, leaner mirrror in antique gold with copper tones. Stunning shaped design for a vintage French, shabby chic inspired living room or hallway. Full length design makes this perfect for use in a luxe style bedroom, dressing room or boudoir. Curved features on the frame add that unique sense of style. 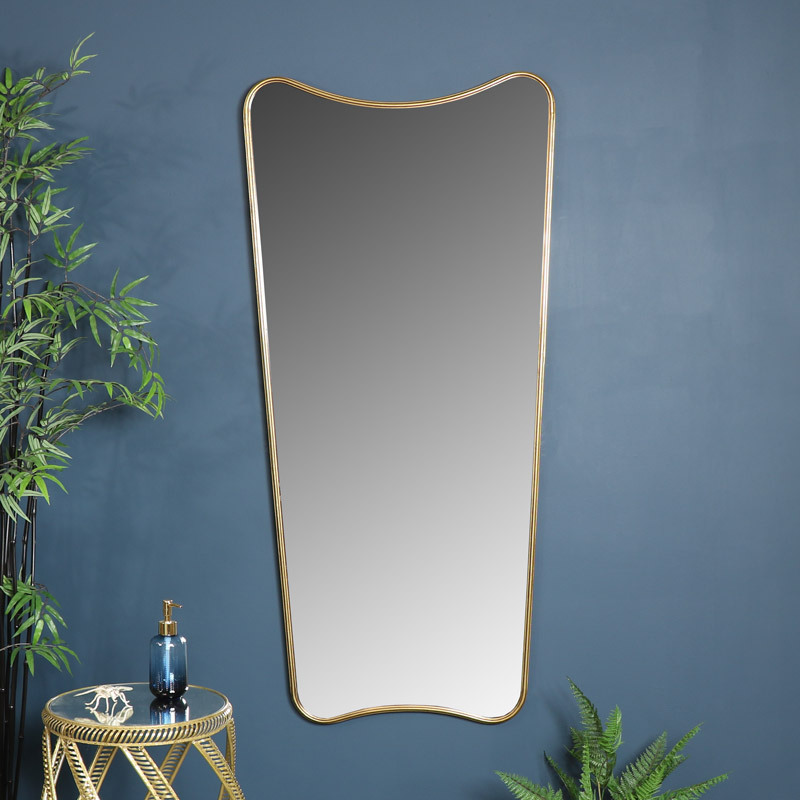 This is a mirror that will stand out and make a striking feature in any room. Extra large metal frame wall, floor, leaner mirrror in antique gold with copper tones. Stunning shaped design for a vintage French, shabby chic inspired living room or hallway. Full length design makes this perfect for use in a luxe style bedroom, dressing room or boudoir. Curved features on the frame add that unique sense of style. 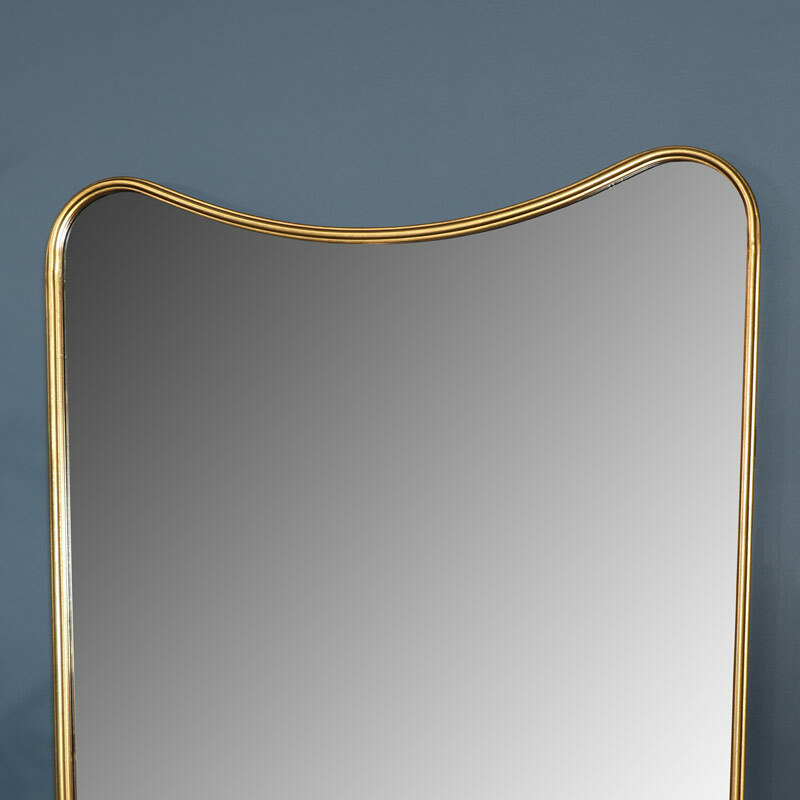 This is a mirror that will stand out and make a striking feature in any room. Made with curved, shaped metal frame in an antiqued gold finish. Hooks on the back for wall mounting or for fixing to the wall for floorstanding.